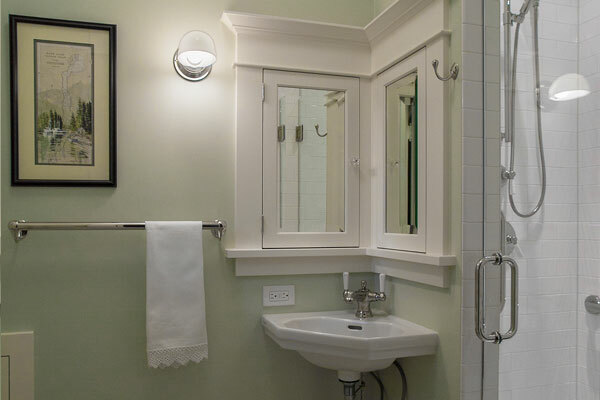 In an older home, you are usually looking at a bathroom update that needs to serve many goals in a very small footprint. Here are 5 design details that can make clever and convenient use of every square inch of your limited bathroom space. 1. Pivot Your Faucet. 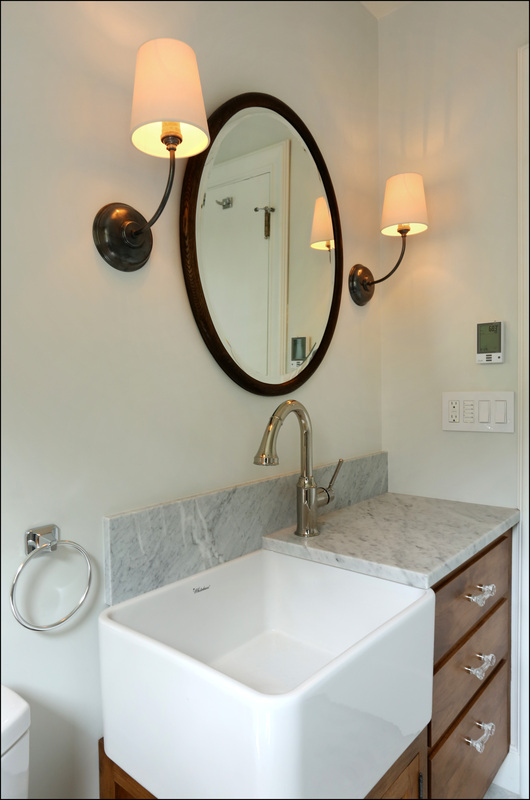 Want a generous sink in a small space? This recent Arciform client needed a deep sink and a tall faucet to accommodate her love of flower arranging. By side mounting the faucet, designer Anne De Wolf was able to fit in the larger sink without expanding the vanity’s footprint. 2. Capitalize on a Corner. A corner sink makes a very efficient use of space in this bathroom designed by Arciform’s Chelly Wentworth. Twin built-in medicine cabinets add generous storage without intruding into the room. 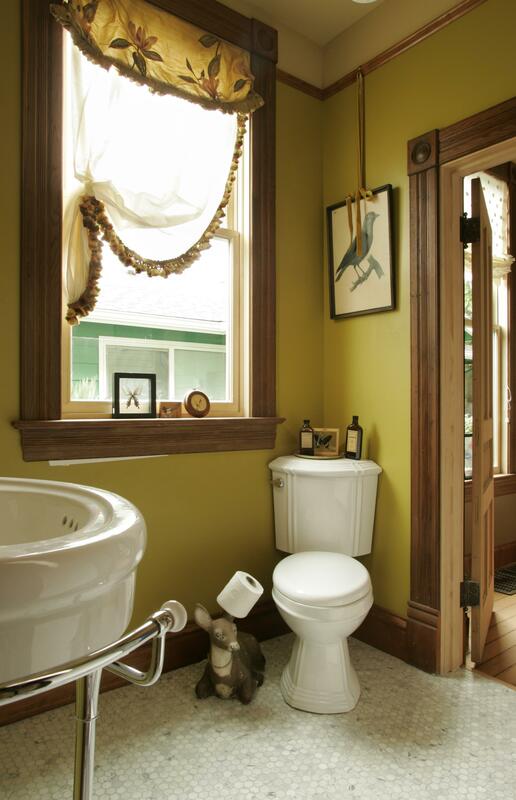 This tidy fixture tucked in the corner of this turn-of-the-century house allowed enough extra floor space for a very cool deer sculpture/toilet paper holder. Its all about priorities, right? 3. Take a Seat. 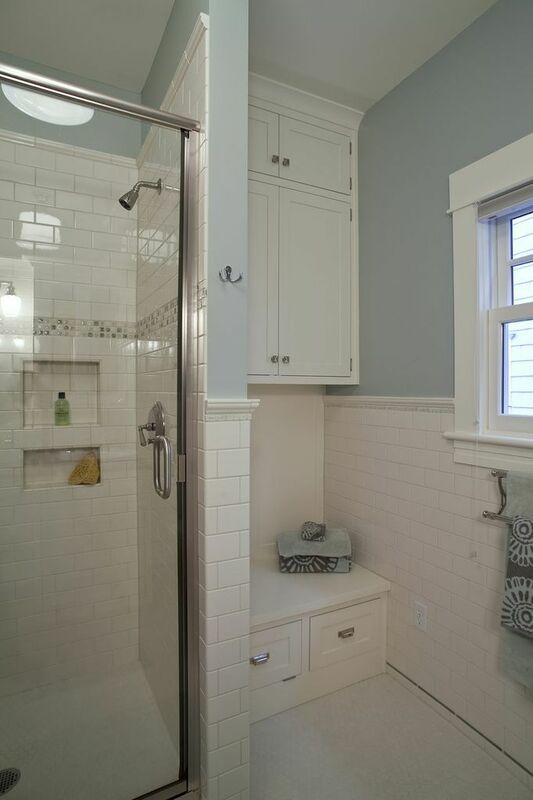 How to integrate a bench into a curved wall shower? In this master bath remodel, Anne De Wolf extended the adjacent tub ledge to create an integrated seat- an efficient use of material and a great way to create continuity between the two spaces. 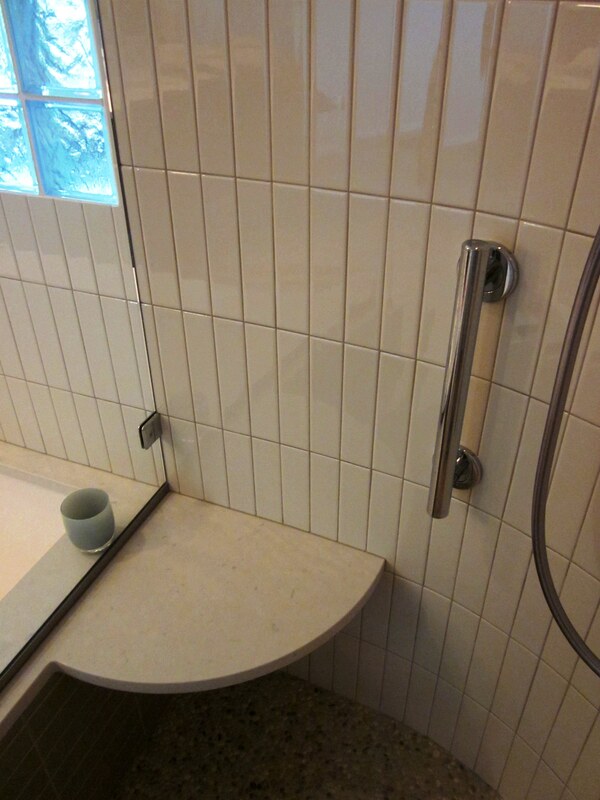 By curving the shower wall she was able to increase the shower’s footprint without inhibiting circulation in the adjacent office. 4. Consider Your Furry Family Members. It’s not just the people in your family who have business to conduct in the bathroom. 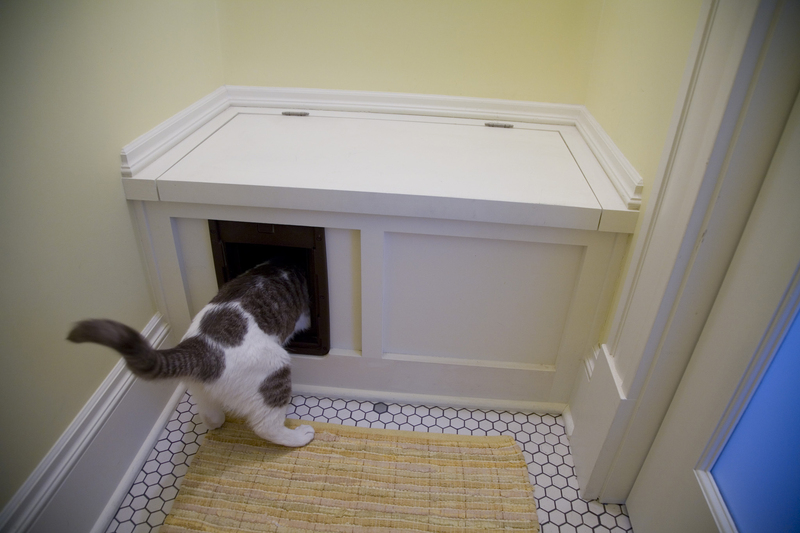 A built in bench can double as an out-of-sight location for kitty litter and other cleaning supplies. Or tuck a few drawers beneath the bench like Chelly Wentworth did in this bathroom update. Then add matching built-in linen storage above. 5. Make Every Inch Work Overtime. Sometimes you have plenty of room but your bathroom needs to work twice as hard. 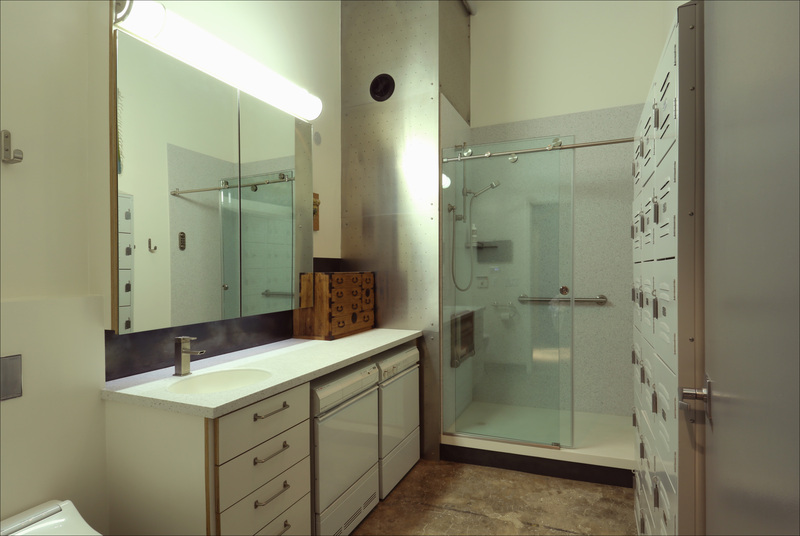 Arciform Designer Kristyn Bester’s recently worked with clients whose Pearl District loft bathroom needed to function as bath, laundry room and storage space. Tucking a washer and dryer under the counters and integrating cool retro storage lockers into the space allowed Kristyn to maintain the loft’s industrial vibe while making every square inch as convenient and useful as possible. We’re hosting a Timeless Bathroom Home Design Workshop on April 9th at the Kennedy School and one lucky attendee will win a Rejuvenation gift certificate.